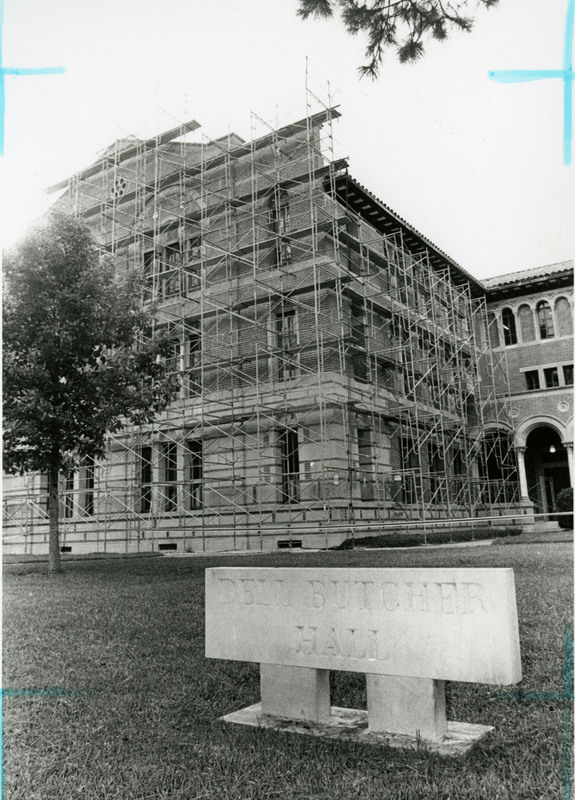 I can think of buildings on campus that have changed names, but not any other names that have changed buildings. Am I forgetting something? Bonus: I had to think about this one for a long time. 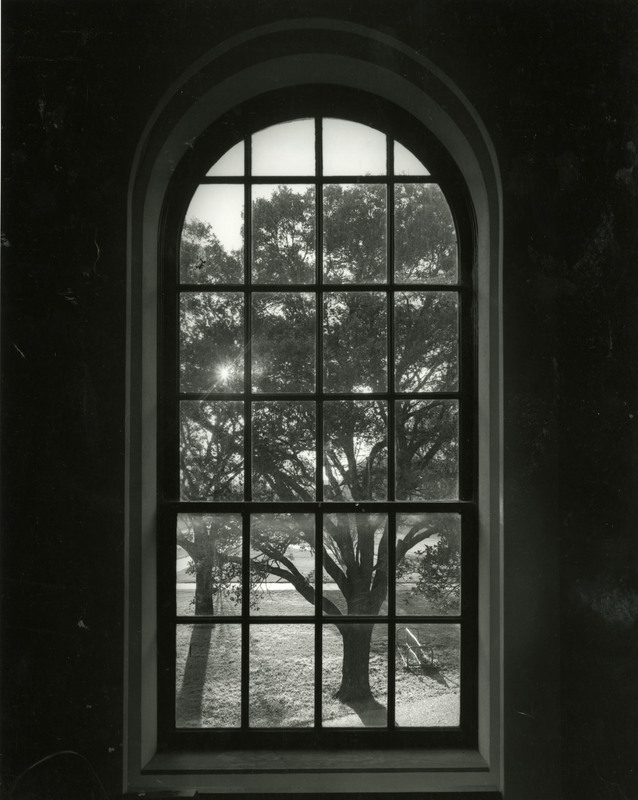 The sun-tree-window photo’s filename seems to indicate that it was taken in the Chemistry Lecture Hall. Sun & sidewalks indicate it’s facing a little south of due west, toward today’s RMC. Yes — I gave it that filename after I figured it out. It took me an embarrassingly long time. Maybe not quite the same as Dell Butcher Hall, but Wiess College has changed buildings and Hanszen has had a series of commons (commonses?). I’m sure other college’s have had more than one commons or Master’s house. That’s a great point. I sometimes fail to think about what goes on in the colleges. You’ve mentioned that on other occasions as well, and I must admit that it piques my curiosity. Why? Each college has its own historian and college coordinators have accumulated lots of memorabilia and photographs and stories from over the years. I know that at Hanszen we even had a hard drive of pictures taken over the years. You should definitely look into each of the colleges to build the archive – there’s a lot just sitting there. George, after a good bit of reflection I think it’s mostly because the nature of my work. I generally will seek the company of the oldest people I can find rather than the youngest. Wiess and Hanszen actually swapped Master’s houses at one point, so there was a period of years when Hanszen House was called Wiess House and vice versa. That was before Wilson House (the new Wiess Masters house) was built. Now the Hanszen Masters are back in their old house, and the old Wiess House is the Housing & Dining headquarters. Clear? The best part of the all that is that the beloved Dr Bill Wilson has a building at Rice named after him. 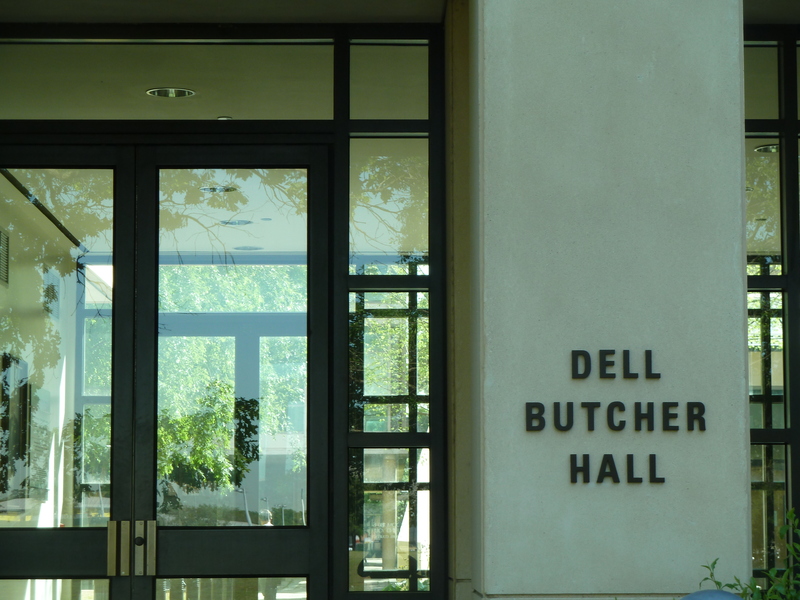 There are very few buildings named after faculty members. In response to Hanszenite, I’m the one who works with the college coordinators, historians, presidents, and masters to acquire more materials from the colleges. In almost two years, we have basically doubled the size of our collection. This does not include all of the archived emails from the listservs and my new project of getting the colleges to start using Google Docs to store their government documents. Also, if you have any items to donate to the Hanszen records, we would be happy to have them.